botanically-based hair products. Our staff will help you select the best products for your individual hair type. 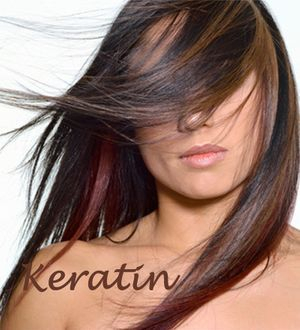 Keratin is a revolutionary process that softens, shines, straightens and makes hair healthy. It penetrates the hair repairing internal damage and coats the hair preventing further damage. The results are smooth, silky and straight hair. It is not a chemical that restructures the hair. It is a replenishing treatment that reconditions and protects the hair from water and heat damage while enhancing it's natural shine. regardless if it's from a dynamic cut or brilliant color!